Greg Cox is the New York Times bestselling author of numerous novels and short stories. He wrote the official movie novelizations of Daredevil, Ghost Rider, Death Defying Acts, and all three Underworld films, as well the novelizations of four popular DC Comics miniseries, Infinite Crisis, 52, Countdown and Final Crisis. In addition, he has written books and short stories based on such popular series as Alias, Batman, Buffy, C.S.I., Farscape, Fantastic Four, The 4400, The Green Hornet, Iron Man, Leverage, The Phantom, Roswell, Star Trek, Terminator, Underworld, Xena, X-Men and Zorro. A sample chapter of his latest, the novelization of The Dark Knight Rises, can be read at IGN. Visit Greg Cox at http://www.gregcox-author.com/ for more about his projects. “Well, I’ve gotta write the book first, John. Then, you know, they get somebody to write the screenplay.” – Susan Orlean in Spike Jonze’s Adaptation. “Well, they get somebody to write the screenplay. Then, you know, I’ve gotta write the book.” – The Novelizer. When enthusiastic fans write stories involving iconic characters like Captain Kirk, Spock, Iron Man, or Sydney Bristow, the result is called “fanfic.” When a professional like New York Times bestselling author Greg Cox does it, it is what could be called “franchise fiction” and is published by houses such as Simon & Schuster, Berkley Books, and Titan Publishing Group. 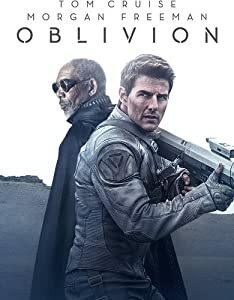 One particular form of franchise fiction, the novelization, involves the complicated process of adapting a screenplay into a novel without the benefit of a finished film for reference. It can be a bit like working in the dark, and involves more imagination than it is often given credit for. With The Dark Knight Rises, Cox’s latest novelization, the author takes us behind the scenes to give us a soup to nuts look at the nuts and bolts of this until-now secretive process. Gilbert Colon: Have movie tie-in novelizations changed since the days they debuted? Since you began novelizing films 10years ago? Greg Cox: I’ve been doing this for about a decade now, starting with the novelization of Daredevil,and the main difference is that the level of secrecy surrounding the scripts has increased significantly, for which I blame the internet. Nowadays there’s practically a cottage industry devoted to publishing spoilers on-line, so I understand why the studios have to work even harder to keep things under wraps. GC: How did you come to novelize Daredevil back in 2003? You have almost a dozen novelizations to your name. Was this a field you were looking to break into? Cox: I had always been interested in writing movie novelizations, since I had enjoyed reading them, but Daredevil was just a lucky break. I had already written a handful of Iron Man and The X-Men novels, based on the Marvel comic books, and my editor on those books recommended me to the editor handling the Daredevil novelization, which is how I got the job. And after you do one movie novelization, people start thinking of you for others. GC: Do you think today’s novelizations are read more than those of the past? Do you think there was a time when they were merely regarded as obligatory souvenirs for collectors, almost like the movie program books of old? Cox: Novelizations have been around since the days of silent movies, so I don’t think their popularity is any sort of recent trend. When I was growing up, I read dozens of novelizations, of everything from Fantastic Voyage to My Fair Lady. There were novelizations of The Thief of Baghdad with Douglas Fairbanks, the original King Kong and even Jolson’s The Jazz Singer. And novelizations have been hitting the bestseller lists for decades now. Craig Shaw Gardner’s novelization of the first Tim Burton Batman movie was a huge bestseller, as I recall, as was Fred Saberhagen’s novelization of Bram Stoker’s Dracula. More recently, my own novelization of The Dark Knight Rises hit #11 on the New York Times bestseller list. GC: How were you chosen to adapt The Dark Knight Rises into a novel? Did you actively seek it out? Did they approach you? Were you on a short list? Cox: The offer came completely out of the blue. My editor, Steve Saffel, called me up one afternoon and asked if, hypothetically, I would be interested in the project. My response was something like “Hell, yes!” As for why they picked me, you’d have to ask the Powers That Be, but it probably helped that I have longstanding relationships with Warner Bros., DC Comics, and Titan Books. In fact, I realized the other day that I sold my first Batman story to DC more than twenty years ago! So, yeah, Batman and I go way back . . . .
GC: You flew out twice to Los Angeles to read the screenplay for Dark Knight Rises. How long in the “inner sanctum” did you have with the screenplay? Cox: Steve and I had about three days each trip to read the screenplay and take extensive notes. The first time around I got to read everything but the last fifteen pages. (Up to the point where Gordon and his men go after the truck carrying the bomb.) I later made a return trip to L.A. to read those final pages. I admit I was dying of curiosity to find out how the whole thing turned out! GC: I picture you with a James Bond spy camera photographing page after page while alone with the script, but I know this is verboten. Do you just take copious notes and work from those at home? Do you work from memorization? How do you retain the dialogue? Cox: My editor and I divided up the script. I took notes on the first seventy pages of the script and he took notes on the next seventy pages. Later, of course, we ran the manuscript by Warner Bros. to make sure we got the dialogue right, and I did a final pass on the dialogue on my return trip to Burbank, when I could check it against the script one last time. GC: What are the mechanics of the adaptation process, and are their any generally held rules? GC: Do studios supply you with supplemental materials beyond the screenplay (storyboards, set photos, etc.)? Cox: Again, it depends. Sometimes you get a folder of pre-production art, or a stack of stills, or an early copy of the trailer, or whatever is available at the time. In the case of TDKR, I spent an hour in a room at Warner Bros. looking at selected stills from the movie. Later, of course, I also devoured every published article and cover story about the movie, and watched the trailers a couple zillion times . . . .
GC: How much do you have to work from imagination? At least with Dark Knight Rises, you had the benefit of the past two films. Cox: Exactly. It’s always a challenge to write a 300-page description of a movie you haven’t seen yet, but this time around I had a pretty good sense of what a Christopher Nolan BATMAN movie looked like. Needless to say, I rewatched Batman Begins and The Dark Knight over and over, and also made use of various coffee-table books published in conjunction with the previous movies. I even read the two previous novelizations! GC: It has to be hard to capture a film on the page that is not even finished. Tom Hardy perfected his Bane voice on his own, basing it on an Irish Traveler bare-knuckle boxer by the name of Bartley Gorman. This detail is obviously not in the screenplay yet is one which garnered a lot of press coverage, and readers of your novelization may look at your dialogue or description to see if you capture Bane’s unique voice. Explain the art of keeping your prose vague enough to give you wiggle room without it losing its power to grab a reader’s attention and not let go. GC: Have you ever written something significant that, either because filmmakers made a change or improvised a solution, turned out to be very different from what ended up on screen? GC: Is the screenplay generally so “top secret,” or was Dark Knight Rises a unique case attributable to the blockbuster nature of the franchise? Do you ever get to work from your own personally issued copy of the screenplay in the comfort of your own home? Cox: The secrecy surrounding TDKR was more extensive than I’ve encountered before. All the Word files had to encrypted, I wasn’t allowed to take any stills home with me, etc. In olden days, I used to be able to get my own personal copy of the screenplays, but I suspect that those days are going away. The TDKR level of secrecy is probably the wave of the future, for understandable reasons. GC: One of the treats for those who read the novelizations is the chance to read scenes and dialogue that either went unfilmed or ended up on the cutting room floor. What “bonus material” can we find in your novelization? Sometimes it can be a challenge to pad out a 110-page script to novel-length, but that really wasn’t an issue here. TDKR was so dense and intricate, and had so many characters and subplots, that I had more than enough plot for the book, so there was no need to embellish anything. GC: Christopher Nolan, director of the Dark Knight Trilogy, is quoted as saying, “When [Jonathan Nolan] showed me his first draft of his screenplay, it was 400 pages long or something. It had all this crazy stuff in it. As part of a primer when he handed it to me, he said, ‘You’ve got to think of A Tale of Two Cities… When I did my draft on the script, it was all about A Tale of Two Cities.” You never saw Jonathan Nolan’s 400+ page screenplay? Cox: Nope! I’m pretty sure I would remember seeing a 400+ page screenplay. I probably would have had a heart attack! GC: Then the shorter, 160 page script is more Christopher’s than Jonathan’s? Cox: I have no idea. I wasn’t involved with the writing of the script. But I know the version I saw was around 160 pages long. GC: In one interview, Christopher Nolan said, “I was looking to old good books and good movies. Good literature for inspiration…” Were the references to Charles Dickens’ A Tale of Two Cities and Oliver Twist, or any other classics, overt in the shorter screenplay you had access to? Did you go to Dickens for further inspiration and finishing touches? Cox: It’s funny. While researching the book, I found a photo on-line of Jim Gordon reading A Tale of Two Cities in his hospital bed. I don’t believe this detail was mentioned in the script, but I worked it into the novel–and was glad I had done so when Gordon ended up quoting Dickens at Bruce’s funeral! Alas, I’m ashamed to admit that I’ve never read A Tale of Two Cities all the way through, although I did skim it a few years ago when I was working on a short story set during the French Revolution. And, of course, the Trekkie in me can’t hear some of those classic lines without thinking of Spock’s death in The Wrath of Khan! GC: Some agree with me that there may be nods to Papillon. Are there other literary or cinematic references in Dark Knight Rises? GC: Besides the first two films, did you fuel your imagination with any other research? Cox: Definitely. As I mentioned before, I tracked down the novelizations and “making-of” books on the previous films, and also watched all the bonus features on the Batman Begins and Dark Knight DVDs. Plus, I already had an extensive library of reference books on Batman and DC Comics in general, left over from when I novelized various DC Comics miniseries such as 52 and Final Crisis. And I listened to the Batman Begins soundtrack album while writing, just for inspiration! GC: When research requires reference books, do you receive comp copies? Are you reimbursed for these materials, or are they a personal expense? If the latter is the case, I hope they are at least tax-deductible! Cox: A little bit of both. If I ask, sometime a publisher or studio will provide me with a complimentary copy of The Klingon Dictionary or whatever, but I’ve also built up a large library of reference books at this point. Most recently, I treated myself to a copy of The Essential Superman Encyclopedia by Robert Greenburger and Martin Pasko. And, yes, they are considered business expenses. GC: Joe Queenan, in his Guardian article “Read ‘em and weep,” singles you out. He writes, “Novelisations, so it is rumoured, often contain supplementary material that make it easier to understand the film on which it is based. … Not until I read Underworld: Rise of the Lycans – The Novelisation, by Greg Cox, did [elements of the film] become clear.” How much freedom to add your own material were you given by Warner Bros.? Did they allow you more or less than others? With TDKR, Warner wanted me to be very faithful to the movie. And, as I mentioned, there was so much good stuff in the script that I didn’t feel a need to supplement it much. GC: I don’t know if the graphic novels Knightfall, The Dark Knight Returns, and No Man’s Land are officially acknowledged sources by the Nolans and David S. Goyer, but did you mine these for material – visuals, storylines, etc. – to flesh out your novelization? Cox: I don’t remember looking at any specific graphic novels in particular, but I was very familiar with all those storylines and certainly drew upon a lifetime of reading Batman comics. On the other hand, I was always very conscious that the movies have their own continuity, apart from the comics, so I resisted the temptation to reference the comics too explicitly. There are no allusions to the Penguin or the Riddler, for instance, and I didn’t provide Selina with any of the various Catwoman origin stories from the comics. GC: I imagine you have to be very nimble and versatile as a “novelizer.” For instance, the Nolans and Goyer have a different superhero approach than, as one example, Daredevil, and this difference in sensibilities goes beyond “DC versus Marvel.” How do you do your homework to adapt to a franchise tone or style? Cox: You certainly have to adjust your tone to suit the source material. You’re not going to write a hard-boiled detective (or superhero) story in the same style as, say, a heroic fantasy saga, a gory vampire movie, or something breezy and humorous like Warehouse 13. I like to think I’m a bit of a chameleon that way, adapting my style to fit the genre, but it helps to fully immerse yourself in the material, watching the original movies and shows every chance you get, reading the other books and comics, blaring the soundtrack albums while you’re pounding away at the keyboard . . ..
GC: You have in the past named characters after friends, as in the case of your longtime Richard Matheson on Screen author friend, Matthew Bradley – ‘Matthew Bradley, Agent of S.H.I.E.L.D.’ in your Gamma Quest trilogy. Are there any other sneaky references you had fun with that you care to share with us? Cox: I tend to go easy on that kind of thing when it comes to high-profile movie novelizations, just because they come under so much scrutiny, but I still indulge myself occasionally. My next Star Trek novel, which comes out in March, is set on a planet named Ephrata IV, named after a neighboring town here in Pennsylvania. I just thought “Ephrata” sounded like a good name for an alien planet! GC: I am sure they are all your “children,” but which of your novelizations rank among your favorites? Cox: Honestly, I like the variety. Thanks to my novelization work, I’ve written superhero adventure, R-rated horror, and even one historical romance. No westerns yet, but that’s probably only a matter of time! GC: Warner Bros. must have been more than pleased with your Dark Knight Rises novelization since next up for you in the “Nolanverse” is the novelization of the Superman relaunch, Man of Steel. Can you tell us anything about it, or is it top secret? Cox: Well, since Amazon has spilled the beans, I guess I can admit to writing the book. But all I can say is that I’m very excited by this project–and looking forward to seeing the movie in June! Gilbert Colon is a guest contributor to SF Signal for which he wrote most recently about the Nolans’ Dark Knight Trilogy [Jonathan Nolan’s Watchmen: Person of Interest, Batman, and Second Chances]. His printed work can be read in Cinema Retro, Filmfax, The New York Review of Science Fiction, and the book Invasion of the Body Snatchers: A Tribute (Stark House Press). He interviewed Richard Matheson on Screen author Matthew R. Bradley for SF Signal and will contribute an article to Bradley on Film in the near future. Just in time to go under the Christmas tree comes the Blu-ray and DVD of The Dark Knight Rises, as does the complete Dark Knight Trilogy. Pair the movies with Greg Cox’s novelization from Titan Publishing Group for the perfect stocking-stuffer. Sad news, folks.... BBC and Digital Spy are reporting that Elisabeth Sladen has passed away at the age of 63. :( She is best know for playing the character of Sarah Jane Smith on Doctor Who and the spinoff, The Sarah Jane Adventures.